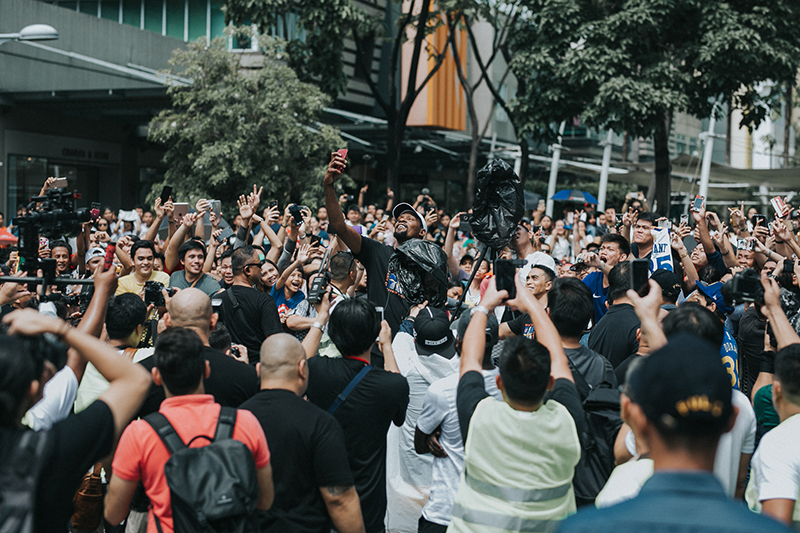 Despite the torrential rains, Manila embraced the 2-time NBA Champion and Nike athlete Kevin Durant as he dropped by the PH as part of his 2018 World Tour. 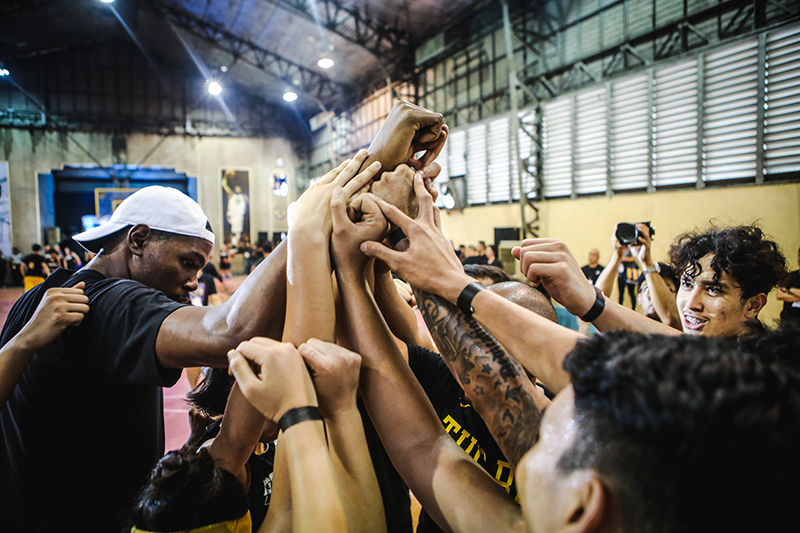 Kevin’s Manila itinerary was pretty busy as he trained a select group of HyperCourt ballers, held a meet-and-greet with fans, and staged a show at the Araneta Coliseum. Oh, and he also launched his latest sneaker, the KD 11 (more on this soon). 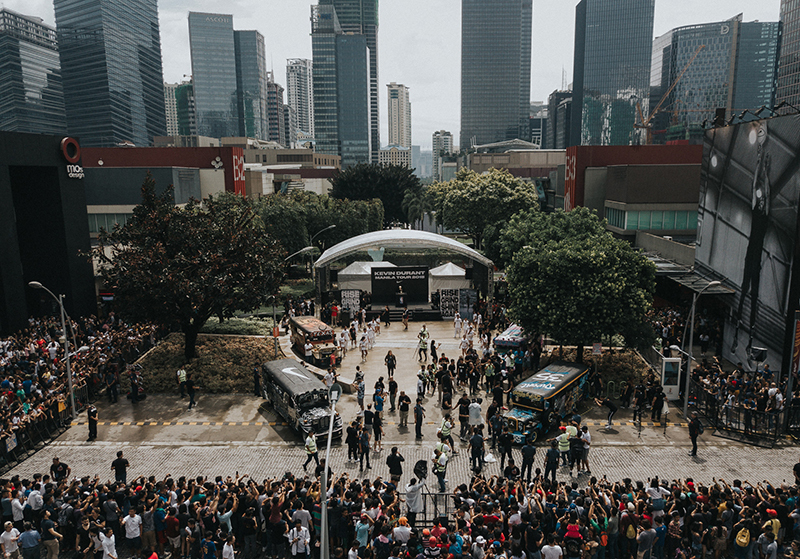 As shared during the announcement, he kicked off his visit at Nike Park in BGC where a parade was held for the 2-time Finals MVP. 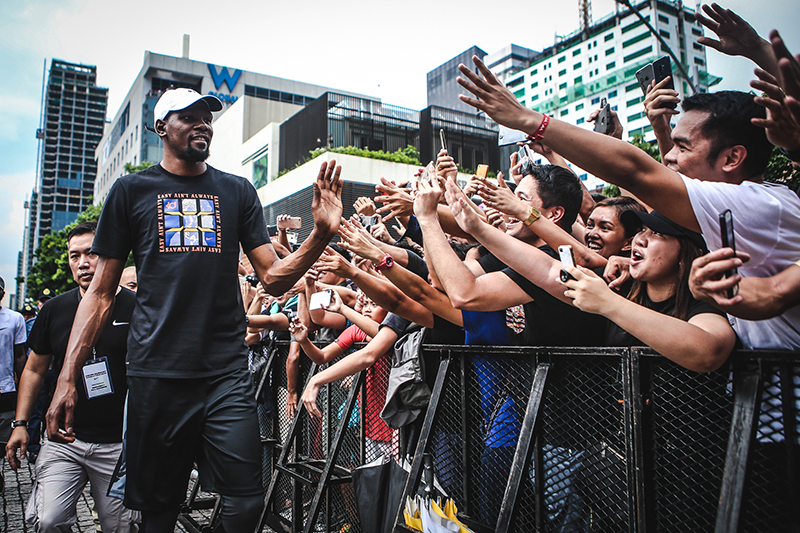 From drums to customized jeepneys, KD was able to address the fans and show his appreciation. 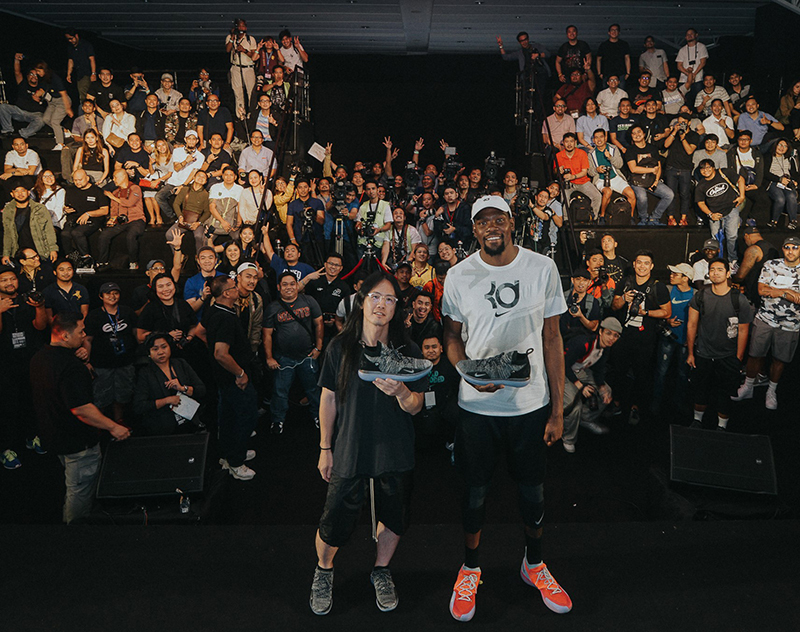 A select group of fans were able to meet and greet Durant in-store and shared his amazing journey. 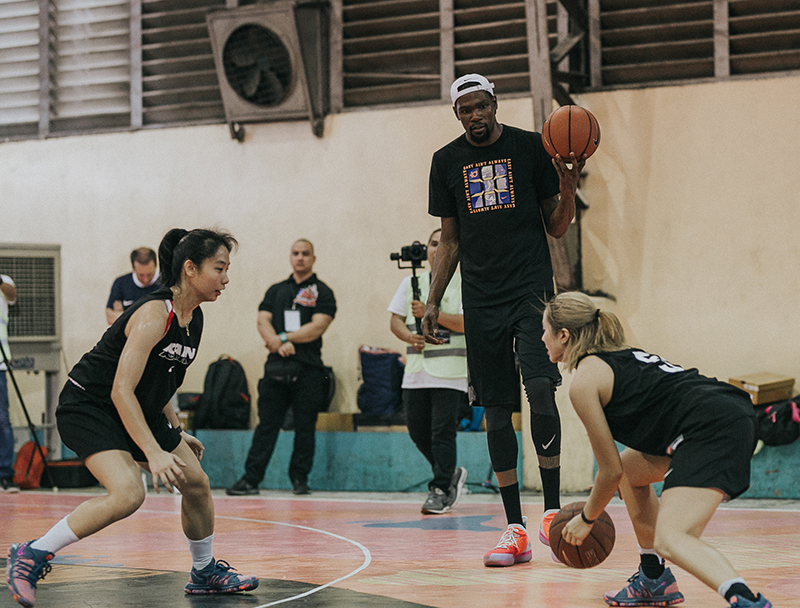 Soon after, KD went to the Nike HyperCourt in Comembo, and conducted a training session with young female ballers. To commemorate the visit, KD gave each player a backpack that contained a basketball with messages personally written by Durant. He was then whisked away to meet local media to talk about the tour. 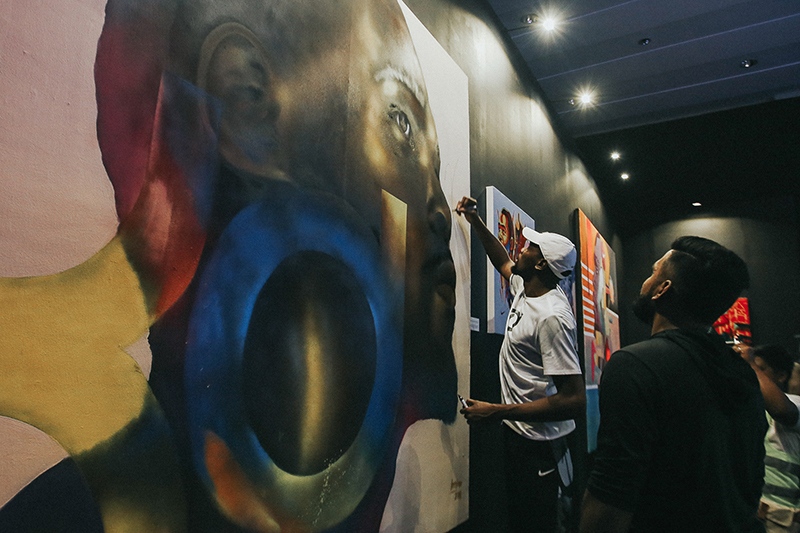 In honor of KD, Nike and several local artists created wonderful works of art depicting Durant and his storied career. 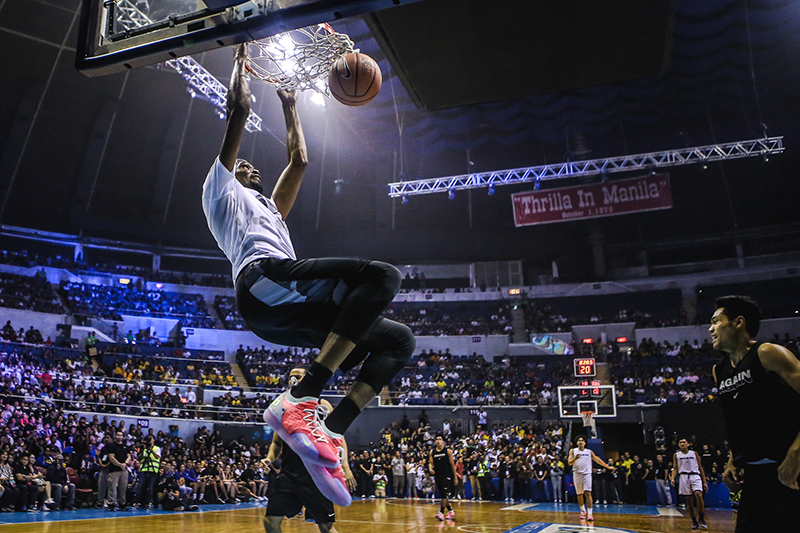 The last stop of the trip was at the Araneta Coliseum for the Nike KD HyperCourt Team All-Star Challenge. 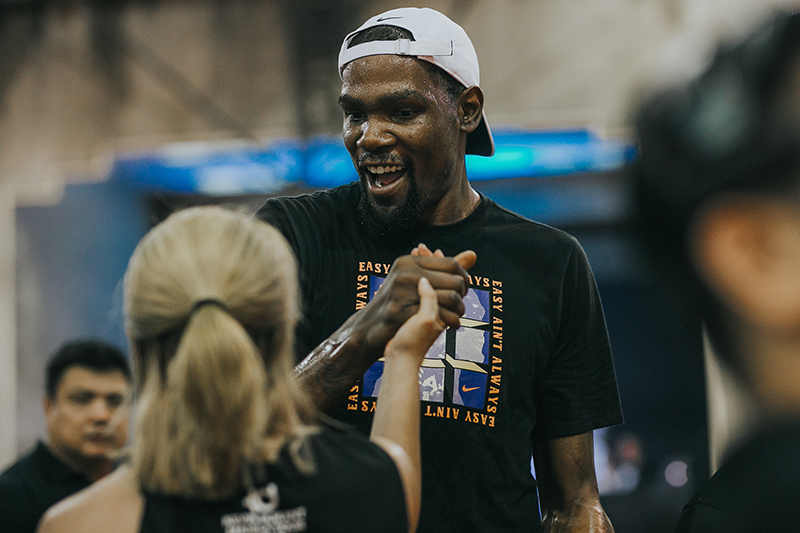 The crowd and energy was amazing as Durant played with a select group of Nike Athletes. We’ve been through several player visits before but this stood out as Kevin played almost the entire game. 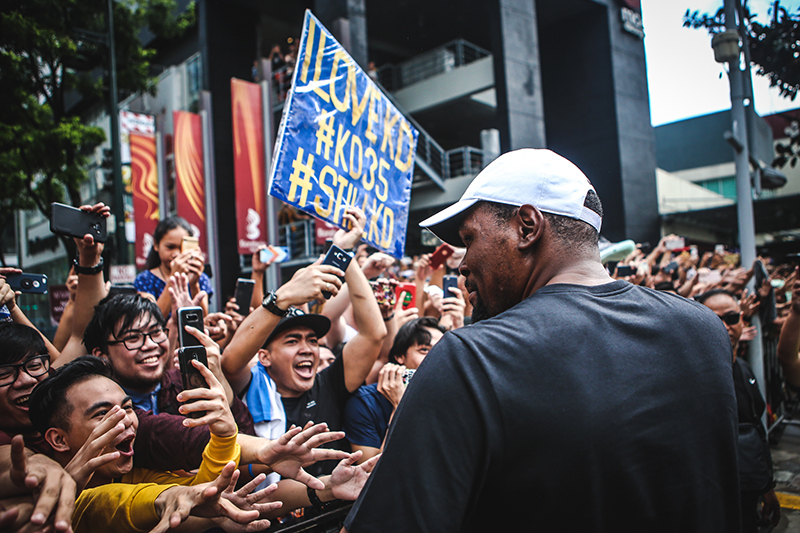 Fans got to see their idol up close, as he drained long threes and slammed it home to their delight. 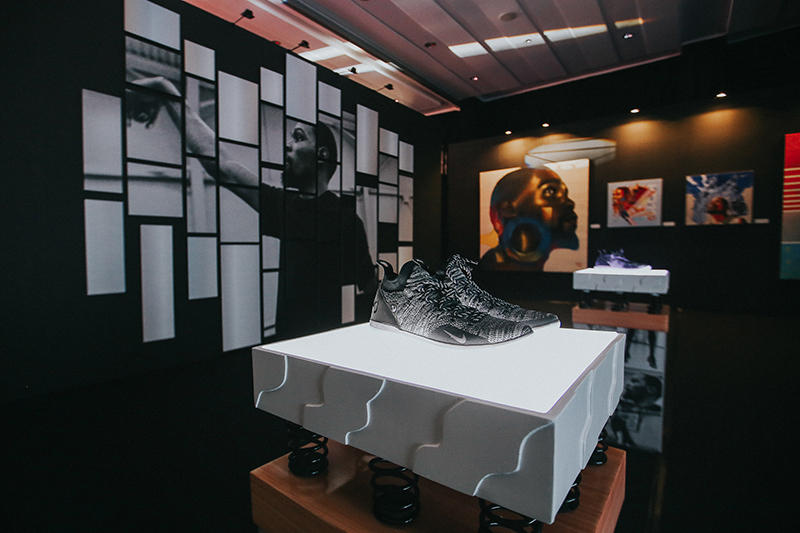 Throughout the Tour, Kevin Durant wore his latest signature shoe, the KD 11. 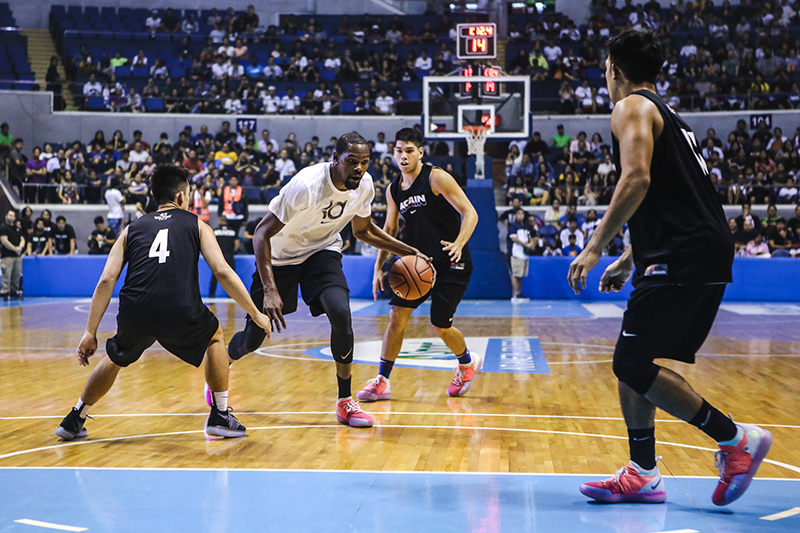 Durant had three colorways on rotation – the Multi-Colored 11s, the “Peach Jam” and “Still KD”. 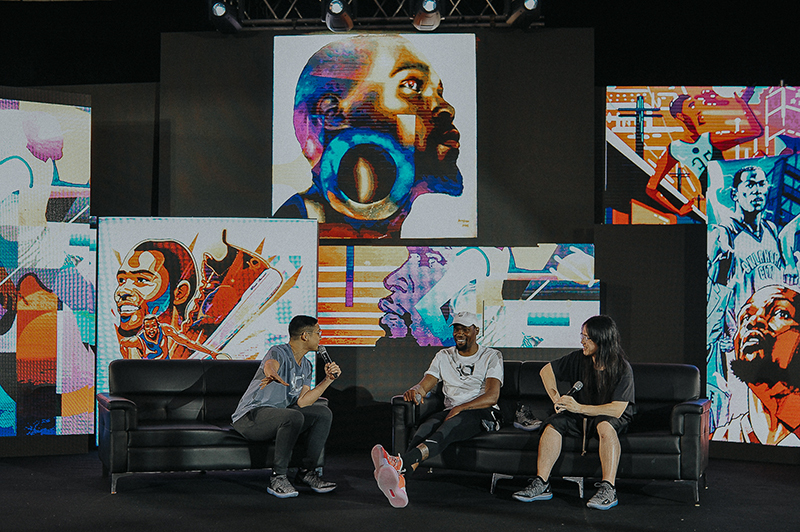 For more on the trip, check out the photos below as well as the our interviews with both Durant and Leo Chang in the coming days.